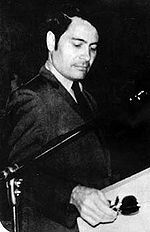 The Jonestown Massacre consisted of a charismatic Communist,  Jim Jones, leading his cult to a mass suicide on November 18, 1978, in a settlement in northern Guyana. In total, 914 members of the People's Temple cult died, including five people murdered at a nearby airstrip. James Warren Jones ("Jim Jones") was born on May 13, 1931 in Lynn, Indiana, the only child of James Thurmond and Lynetta Jones. He was an average child in elementary school, but in high school he was among the top of his class due to a high IQ. He got along well with others, but he was charismatic and had learned how to manipulate and control them to his advantage. Biographies of favorite world leaders were read, among them Machiavelli, Gandhi, Karl Marx, Josef Stalin, and Adolf Hitler. At the same time as high school and World War II had ended, Jones was in the streets preaching. Changing towns from Lynn to nearby Richmond, his message was one of racial equality, and he focused his efforts in the north side of town in a black residential area. He was married in June 1949, and ordained a minister by 1953; his effective preaching style would come out in Columbus, Indiana later that year. Wanting his own congregation, he raised money by selling monkeys door-to-door, and rented a building in Indianapolis in a racially-mixed neighborhood where "Community Unity" was opened in 1954. Though Christian religious terminology was used by the media to describe Jim Jones' following, in fact his belief system was progressive and Communistic. Jones' first congregation numbered twenty, but it was growing. His "faith healing" abilities, charisma, and inter-racial makeup caused large crowds to gather at Community Unity to hear him speak (officially, the rolls listed 700 members at the time); Jones' reputation grew as well, and soon the name was changed to "The People's Temple," reflecting not only its congregation but the social services it provided as well, among them a free restaurant which opened from the basement in 1960, giving meals to the homeless. In 1964, Jones was a fully-ordained minister under the Disciples of Christ. Allegations of harassment and beatings began as early as 1960 as well, and Jones found himself the target of several minor investigations. Moving the group to Ukiah, California (one of several sites Jones discovered to be "survivable" in the event of a nuclear attack) in 1965, he stayed for a couple years; new converts could not be acquired there, so he had them moved to Redwood Valley a few miles to the north in 1969, then to San Francisco in 1970, where the liberal climate at the time attracted plenty of followers. Jones' congregation grew to a maximum of 3,000 members, but Jones would claim he had thousands more. In 1962 Jones and his wife Marceline (they were married in 1949) checked on the possibilities of moving the congregation out of the United States to British Guyana or Brazil in South America. Both stayed in Brazil for two years serving orphanages, as well as looking into gaining some land to establish a colony. Bad publicity had grown; the media was critical of Jones and his church, and defectors who left reported threats, beatings, and intimidation over the followers. Long before, Jones had left the concept of Christianity as found in the Bible; replacing it was a form of socialism which rejected Christ, using as his philosophy a pair of trademarks he used: "the end justifies the means" and a "revivalistic embellishment of radical social critiques" (Hall, p. 27). His religious cry for redemption was a mix of truth and lies about race, class, and the coming nuclear war. At a September 1976 testimonial dinner honoring Jim Jones, Willie Brown is at the far left and Jones is at the far right. Jones almost immediately was involved with San Francisco politics, being instrumental in the election of liberal George Moscone to the office of mayor in 1975; Jones in turn was given the lucrative post of housing commissioner. Willie Brown brought Jones in contact with the state's Democrat Party machine. Jones met with then-candidate for vice-president Walter Mondale, and would speak with other leading Democrats at their San Francisco headquarters after the election in 1976, among them First Lady Rosalynn Carter and California governor Jerry Brown. Harvey Milk, a leading gay politician in San Francisco would say to Jones: "Rev Jim, It may take me many a day to come back down from the high that I reach today. I found something dear today. I found a sense of being that makes up for all the hours and energy placed in a fight. I found what you wanted me to find. I shall be back. For I can never leave." In support of Jones when the allegations of abuse surfaced, both Mayor Moscone and Milk would write letters to President Carter and agencies concerned; Moscone would publicly deny the allegations ever took place and prevented a local investigation from happening. So-called "struggle meetings" or catharsis sessions in which recalcitrant members were interrogated, required to confess their "wrongdoing," and then punished with alternate harshness and leniency. Interrogation could be gentle and polite, but more often it involved harassment, humiliation, revilement, and degradation. Vital to this strategy were two of Jones' favorite techniques. The first involved an exhaustive and detailed record for each member kept on file cards and generated by his vast intelligence network. A member would suddenly be confronted by Jones with knowledge of some action he was unaware had been observed. Jones would stage his "mystic" awareness of that action and then direct the outcome to his desired end. The second technique was to establish in each of his followers a mistrust of everyone else. Consequently, no one dared voice a negative view-even to the closest family member or friend-for fear of being turned in. Often as not, trusted aides were directed to test individuals by expressing some comment critical of Jones or the lifestyle in Jonestown to see if the person would report the incident. The end result was that no one person could trust another. As a result, everyone feared expressing even the slightest negative comment. The system was so effective that children turned in their own parents, brothers informed on sisters, and husbands and wives reported on spouses. In 1974, Jones succeeded in getting land from Guyana, independent from Britain since 1966, and began clearing it for his followers' arrival in 1977. From there he could pitch his version of a socialist utopia; while in a socialist country he could be safe from the prying eyes of American investigators and be in absolute control of his followers. By the beginning of 1978, 1,000 of his flock were settled in Jonestown, clearing the land, planting crops, dancing in the pavilion, and listening to Jones on the loudspeaker at night reading Marxist philosophy. If anyone wanted to leave, they were verbally brow-beaten by Jones in front of the congregation, scolded for failing to obtain "permission" from the man everyone called "father". If that wasn't enough, their passports were confiscated on arrival and locked away. "At least once a week, Rev. Jones would declare a "white night", or state of emergency. The entire population of Jonestown would be awakened by blaring sirens. Designated persons, approximately fifty in number, would arm themselves with rifles, move from cabin to cabin, and make certain that all members were responding. A mass meeting would ensue. Frequently during these crises, we would be told that the jungle was swarming with mercenaries and that death could be expected at any minute." "During one "white night", we were informed that our situation had become hopeless and that the only course of action open to us was a mass suicide for the glory of socialism. We were told that we would be tortured by mercenaries if we were taken alive. Everyone, including the children, was told to line up. As we passed through the line, we were given a small glass of red liquid to drink. We were told that the liquid contained poison and that we would die within 45 minutes. We all did as we were told. When the time came when we should have dropped dead, Rev. Jones explained that the poison was not real and that we had just been through a loyalty test. He warned us that the time was not far off when it would become necessary for us to die by our own hands." Hearing of the many allegations regarding abuse, as well as hearing Layton's testimony and the mysterious death of a young man in 1976, U.S. Congressman Leo J. Ryan (D-California) led a fact-finding mission to Jonestown on November 15, 1978; included in his group was his staff member (and future Congresswoman) Jackie Speier; Richard Dwyer (deputy chief of mission at the U.S. embassy in Georgetown); Anthony Katsaris, Jim Cobb, Sherwin Harris, and Carolyn Houston Boyd (representing Concerned Relatives, a group fighting Jones); reporters Tim Reiterman (San Francisco Examiner), Greg Robinson (San Francisco Examiner) Ron Javers (San Francisco Chronicle), Charles Krause (Washington Post), Don Harris, Steve Sung, Bob Brown, and producer Bob Flick (all from NBC). At first denied entrance to the camp, they were brought in on November 17, and treated with warm hospitality; song and dance was their entertainment, the reception of which caused Congressman Ryan to state to them that it seemed as if Jonestown "was the best thing that ever happened to them," resulting in thunderous applause. Following breakfast, Ryan, Speier, and Dwyer continued their round of interviews with People's Temple members in the process of which they were approached by an individual who indicated to them secretly that she and her family wished to leave Jonestown; further notes were passed to the journalists as well. Don Harris took advantage of one of them and passed it to Jones as part of his interview with him; Jones became visibly agitated as a result, and as interviews went on around him between potential defectors, followers and the visitors, he was seen on camera whispering something to an aide. By 3:00 in the afternoon, Ryan's entourage, as well as fifteen defectors, boarded a truck to take them to the Port Kaituma airstrip; among the defectors was a man named Larry Layton, who caused suspicion among the others that he was a Jones plant. Ryan himself had intended to stay an additional night, but an unsuccessful knife attack by a follower named Don Sly caused Dwyer to compel Ryan to leave. The Congressional delegation, journalists, and defectors were all on the airstrip by 4:45 pm; the planes needed to fly them (a twin-engine Otter and a Cessna) out didn't arrive until after 5:00. Just after the Cessna arrived and was loaded, Layton opened fire with a hidden gun on the passengers at about the same time as the occupants of a People's Temple tractor and trailer pulled up near the aircraft and fired shotguns. Ryan, Robinson, and Harris were killed outright; Brown was hit, his camera still rolling, before another shot ended his life; a defector was also killed, and several others wounded. The Cessna was able to take off, while survivors on the ground hid in the jungle; the bodies would remain clustered around the Otter until Guyanese authorities arrived hours later. "Well it's all over, all over. What a legacy, what a legacy. What's the Red Brigade doing, and one's that ever made any sense anyway? They invaded our privacy. They came into our home. They followed us 6,000 miles away. Red Brigade showed them justice. The Congressman's dead." "Please get us some medication. Simple. It's simple, there's no convulsions with it. It's just simple. Just, please, get it. Before it's too late. The G.D.F. will be here, I tell you, get movin', get movin', get movin'." "Don't be afraid to die. You'll see people land out here. They'll torture some of our children here. They'll torture our people. They'll torture our seniors. We cannot have this." Parents killed their children first, which sapped a will to live from the adults. What outsiders later clearly saw as an act of nihilism, the cultists regarded as an act imbued with profound meaning. Jim Jones told them that they gave their lives for the glory of Communism. They did not surrender in laying down their lives. They protested. Jones announced as children cried and his followers convulsed and collapsed. The body of Jim Jones was found inside the pavilion, near the steel vat, a single gunshot wound to his head. Guyanese military would do a preliminary body count of 440, and over the next few days broadcast over loudspeakers to those they thought were hiding in the jungle. But as they began removing bodies they saw additional ones underneath, bodies on top of bodies, and it was realized that nearly all the members of the commune were dead. The count stopped at 914. All the bodies were returned to the United States; most were claimed by relatives, while more than four hundred unidentified persons were buried in a mass grave in Oakland, California. Jones himself was cremated and his ashes scattered at sea. The liberal media likened the Jim Jones cult to very different new religious movements (NRM), and distracted public attention from the un-Christian Communism at the core of Jim Jones' belief system. In fact, the term "to drink the Kool-Aid", which refers to a person or group of people agreeing with a person, idea or set of ideas blindly on faith alone, without exercising their own critical thinking, was derived from the method of suicide/murder utilized in the Jonestown massacre. Nugent, John Peter. White Night, Old Tappan, New Jersey; Macmillan Publishing Company, Inc. 1980. Reiterman, Tim. Raven, New York, E.P. Dutton, Inc., 1982. Hall, John R. Gone from the Promised Land, New Brunswick (USA) and Oxford (UK), Transaction Books, 1987. "Calif. Rep. Ryan Is Reported Slain In South America; Congressman Reported Killed In S. America," By Peter Masley. The Washington Post Nov 19, 1978. "Cult Head Leads 408 to Deaths in Suicide-Murders; Extolling 'Beauty of Dying,' Jones Led 408 in Killings," By Leonard Downie Jr. The Washington Post Nov 21, 1978. "Survivor: 'They Started With the Babies'; Jonestown: Bodies Bunched at the Altar," The Washington Post Nov 21, 1978. "Temple Cult, Guyana: An Odd Couple; Cult Was on Good Terms With Guyanese Leaders," By Karen DeYoung. The Washington Post Nov 21, 1978. "Before the Horror; Jones: 'I'm Defeated. I Might As Well Die'" By Charles A. Krause. The Washington Post Nov 22, 1978. "Suicide Brew Contained Mix of Drugs, Poison," The Washington Post Nov 23, 1978. "The Final Months: A Camp of Horrors; Jonestown: Experiment to Nightmare," The Washington Post Nov 23, 1978. ↑ Peoples Temple Endorsements Packet (Text). ↑ Jim Jones on gay marriage, women's rights, white privilege and other Progressive causes. ↑ Revolutionary suicide protesting the inhumane conditions of this world, Jim Jones, Guyana, November 18, 1978.